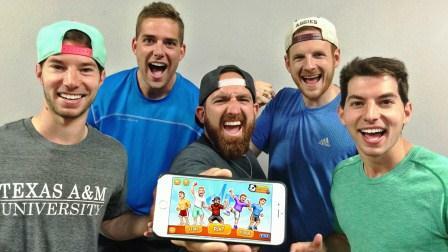 Dude Perfect is an American entertainment sports group that consists of five friends. In 2017, Dude Perfect net worth is an estimated $9.2 million. 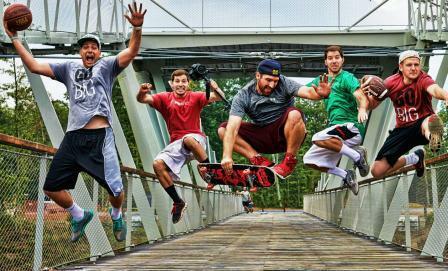 Dude Perfect consists of Cory and Coby Cotton who are twins, as well as Tyler Toney, Garrett Hilbert and Cody Jones. They are all alumni of Texas A&M University and college roommates. They are all good basketball players and represented their high school and college. They shot to fame in a very short time mainly because of their popular extreme sports techniques that include perfect stunt-based trick shots. It’s worth noting that the group has broken several Guinness World Records. Dude Perfect is also runs a comical series called Stereotypes. Dude Perfect started out in 2008, creating a funny video and posting it on YouTube. It went viral, attracting sponsors like ESPN and endorsement deals. Mainstream media houses contacted them and have since completed several interviews including one with Good Morning America and Jimmy Kimme shows. To gain more popularity, dude perfect have worked with several sports personalities including, NBA stars Chris Paul, Kobe Bryant, Kevin Durant, LeBron James. Footballers include quarterback Aaron Rodgers, Russell Wilson, Johnny Manzie, Odell Beckham Jr., Greg Zuerlein, John Hekker, and Jacob McQuaide. Earlier this year the group visited the UK, working on a video project with soccer players Mathieu Flamini, Raheem Sterling, Calum Chambers, and Kevin De Bruyne. Dude Perfect YouTube channel has 22,608,069 subscribers and gained close to 3.8 billion video views as of mid September 2017. With 160 video uploads and counting, the channel obtained 172,071,300 monthly views. This in turn is likely to generate an estimated income of around $2.2 million in the next twelve months. Dude Perfect net worth is boosted by income from a mobile game they launched for iOS and Android, self-titled Dude Perfect in 2011.